Following LIRR president Phillip Eng’s announcement last week that the railroad would do away with its use of duct tape to repair ripped train seats, 30-year commuter John Napolitano shared with Newsday a photograph he took in October at the Mineola station of what he said appeared to be duct tape covering a hole on the front corner of a train car. 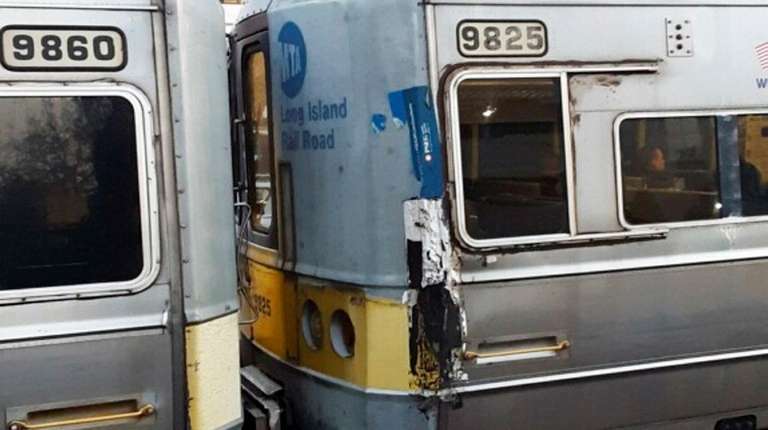 Other photos shared by Long Island Rail Road riders on social media in recent years appeared to similarly show two other trains with tape covering damaged exteriors. Railroad officials said at least two of the three trains spotted with tape on their exteriors — including the one photographed by Napolitano — since have been taken out of service. Eng defended the use of tape in the photos and said it isn't duct tape but a specialized, heavy-duty steel bonding adhesive referred to as “speed tape.” The material, which can cost several hundred dollars a roll, is commonly used in the transportation industry for temporary, cosmetic repairs, including by airlines and race car teams. 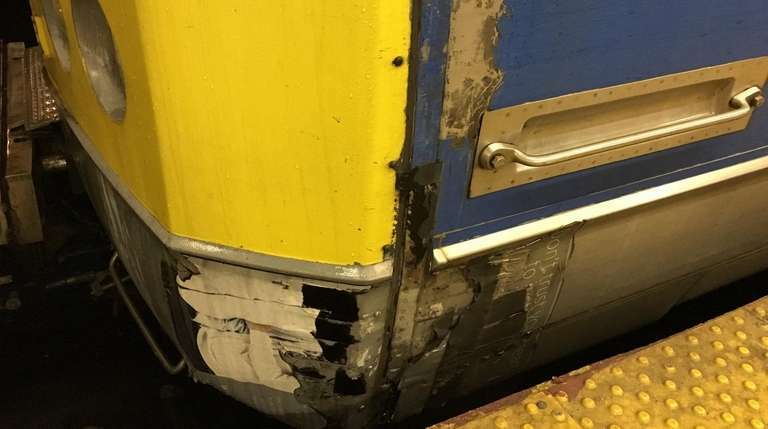 In the LIRR’s case, it’s been used to smooth out “sharp, rough edges” on the fiberglass exterior of some older train cars, according to Eng, who assured riders that the practice was safe and the damage was not structural. Eng said the tape only has been used on its older-model electric trains, known as the “M3s.” Because the railroad initially planned to retire the 1980s-era trains beginning this year, it made the decision not to invest in more costly, permanent repairs — and instead use the tape to help keep the trains in service. The cars, which come in pairs, contain about 100 seats each. Facing a record ridership, and an occasional shortage of trains, Eng has said recently that he intends to keep some of the M3s around even after the new trains arrive. Eng said the railroad is “reviewing” the future of the fleet, and will consider making more long-term repairs. The railroad could not verify Monday the status of that train car.